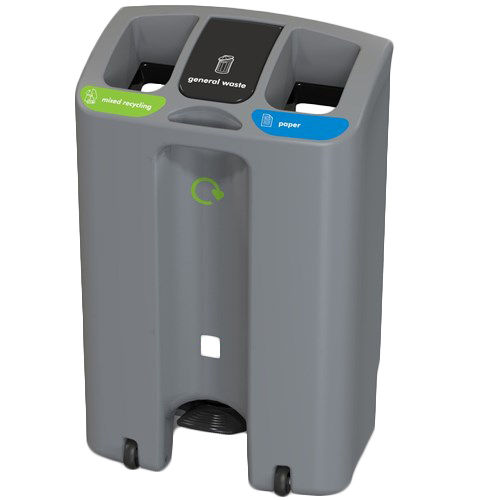 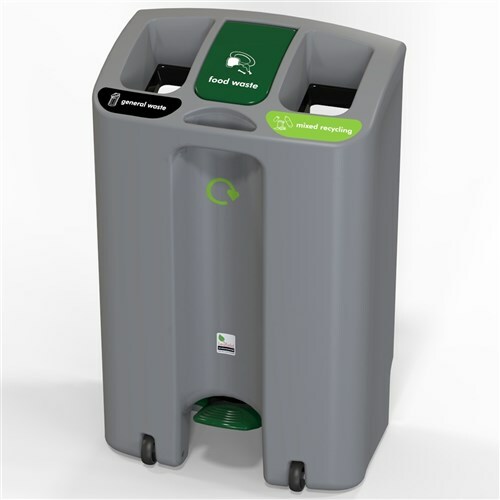 This bin is made up of three compartments, allowing for easy segregation of waste streams. 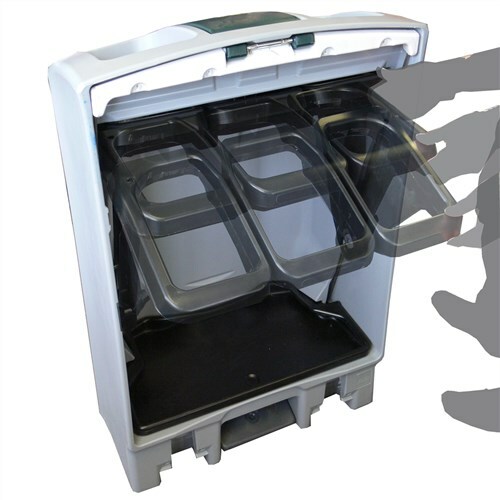 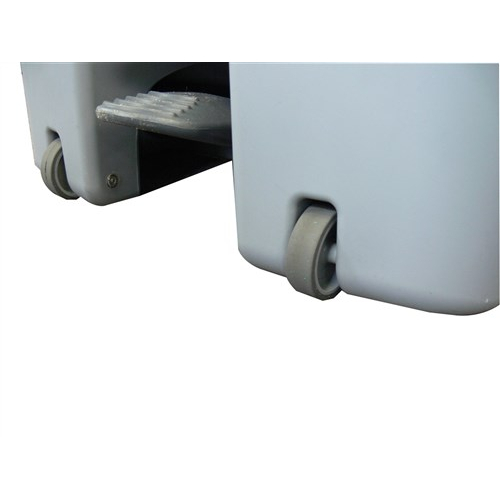 Two sections have open apertures allowing for easy disposal of refuse. 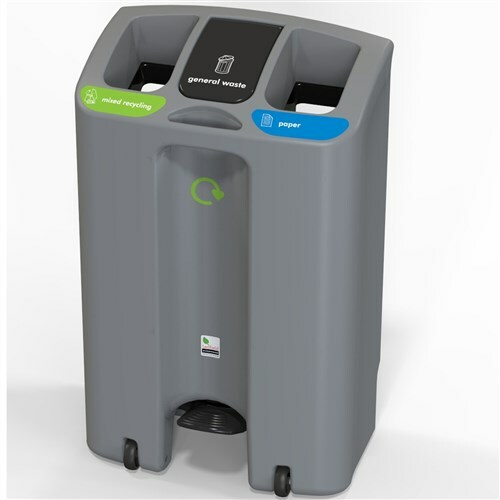 The third has a pedal-operated lid to ensure hands-free use and encourage cleanliness. 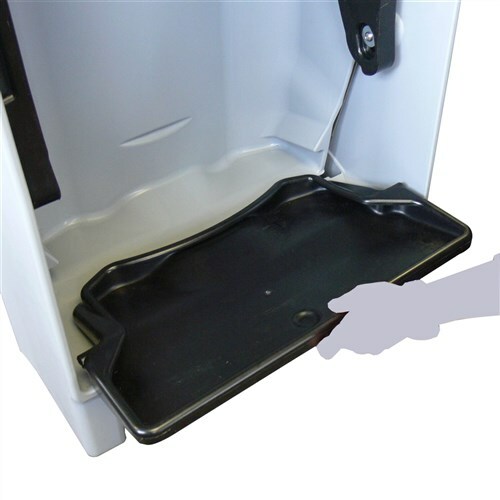 It is constructed from durable and easy-to-clean polypropylene.